Gone are the days of unpleasant, bad tasting and occasionally incorrect putty impressions, now that we have the digital impression system. There is no more messy putty or clunky trays. We design your perfect smile by using the cutting edge iTero® digital impression system. The digital scanner allows us to take 3D digital photos, impressions, of your teeth alignment and bite. These digital images give us the groundwork to create your unique orthodontic treatment plan. They also help us explain your option of treatment and your step by step improvement. Accuracy:The 3D imaging show the curves of your teeth, enabling your Invisalign trays to fit just right. Efficiency:They are faster so you will be in and out at the orthodontist quicker. In addition, Invisalign trays will come in twice as fast as compared to putty impressions. Comfort:The digital images are more comfortable for you. There is no putty and no unpleasant taste. 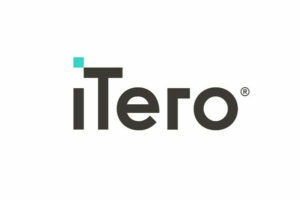 Customization:The iTero impressions produce individualized treatment plans for you that suit your orthodontic needs and your personal wants in treatment. Visualization:You can see the final result of your teeth before you get started and track the progress along the journey. Innovation:These digital impressions are the newest technology and provide the most accurate 3D impressions.